Past few years have seen a great rise in the new domain of shopping. The internet is teeming with online shopping portals and, yet, each day another joins the competition. However, it is this competition and desire to dominate the market, both online and offline, the consumer can find themselves at an advantageous spot. More the competition, more discounts. The online shopping has become even more dominant in electronics and fashion industry. Most important benefit of online shopping is that it saves time and hassle. It becomes even more important for those who cannot find time to go out for shopping because of their career and other preoccupations. 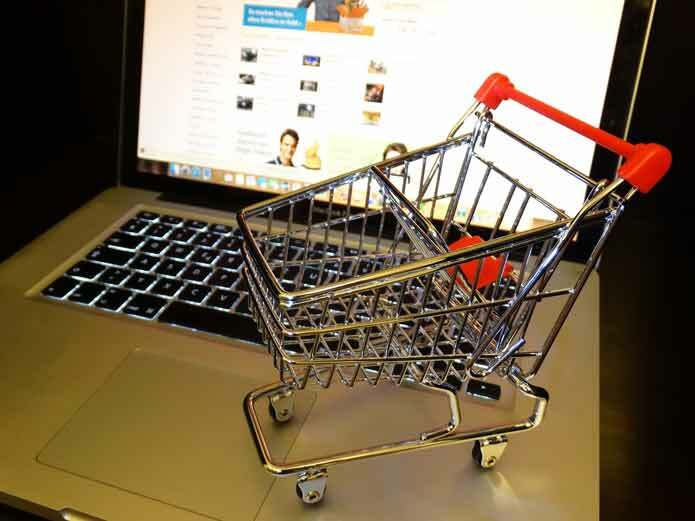 Online shopping is available 24×7, thus you can shop at your own convenience. You also don’t have to change and get ready to go out. You can shop even while wearing your nightdress. Now, when you’re shopping from your computer or smartphone, besides your precious time it also saves a few bucks on traveling expense, fuel, and parking. Another great benefit of online shopping is that you have exposure to a huge variety of products. In less time you’re able to quickly browse through hundreds of items and choose only what you love the most. Unlike offline shopping where you’re at the mercy of salesmen/girl, you can filter out the options and narrow down the products of choice from a vast variety. There’s also lesser risk of buying something you don’t need, but end up buying because of a cunning salesperson. If you’re looking for something in particular, like a dress you saw on woman you met in a party, the odd of finding it is better online than offline market. You can easily compare a number of products, their quality, features and prices online. While doing the same offline might prove an Everest. At times while shopping offline you may select a particular dress only to find it’s not available in your size or in a colour of your choice. Again the odds are better online in finding the same design in your own size. You can also read a number of customer reviews before finalising your purchase. The reviews help you be assured that the product you chose is nothing but the best. Huge discounts provided by the online websites make your shopping even more profitable. You don’t always need your wallet full to shop. Credit cards and debit cards makes your life easier. Moreover, you may also find a lot of online credit card offers and cashback schemes beside the one offered by the online shopping website. The most important disadvantage of shopping online is the waiting period between order and its delivery. Online shopping may not be useful if you require something urgently. Sometimes the shipping costs attached to online shopping may actually make your shopping pricier that offline shopping. Another disadvantage of online shopping is that you cannot try the clothes beforehand. The actual product may not fit you appropriately or even if they fit they may not look as good on you as you want. If the product isn’t what you desire, you may not have an option of returning or exchanging. Even if the online shopping portal allows return, you may have to send it via courier, which means going out to the courier service and paying a little extra to send it back. Also, you may not always receive your money back. Sometimes it’s returned in the form of credits, which means you would have to buy something else in its lieu. Even if money is returned mostly the shipping cost is deducted, so in the end you lose twice the shipping cost (once for delivery & other for sending back) for no product received. You can never be too sure about the payment methods, especially with newer shopping websites. Sometimes you may become a victim of online fraud. Sometimes the product you receive may be defective, damaged, of poor quality or entirely the wrong product. This may waste your time & money and disrupt mental peace. Sometimes cash on delivery may not be available on a particular website or for a particular product. And, not everyone uses credit cards. There are still a lot of people who depend on cash. Well, there is no greater joy to a few shopaholics than to bargain for their purchase. Shopping online takes away that power from you. Conclusion: There is nothing in this world that’s either exclusively good or exclusively bad. You must weigh online shopping according to your own options, preference and situation. If the pros overpower the cons, you may choose to shop online, else stick to offline shopping. Previous articleHow one can get immediate relief from acid reflux?